What are Foreclosed Manufactured Homes? A manufactured home is a type of prefabricated home built in a factory and then transported to its final destination. Unlike a traditional home, manufactured homes are built to a special set of guidelines developed by the Federal Housing and Urban Development(HUD) agency which require that the home be built on a steel chassis to allow for transportation. When an owner is unable to make the monthly mortgage payments on their factory built home, the bank or lender will usually initiate the foreclosure process. Foreclosed manufactured homes can make for a great investment opportunity since buyers will generally receive a hefty discount off market value from the seller. A manufactured home will become bank owned if there is no suitable bid for the property during a foreclosure auction. Bank repo manufactured homes are very common since the lender will usually set the minimum bid equal to the amount owed plus any applicable fees. If there are no suitable bids above this minimum, the property will revert back to the bank as a bank owned or real estate owned (REO) property. Although you might not be able to tell the difference between a repossessed manufactured home and a foreclosed manufactured home, there is a distinction between the two. It all depends on whether the manufactured mobile home is classified as personal property or not. If the home is personal property, the lender will repossess the property and it becomes a repossessed manufactured home. If the home is classified as real property, then the lender will foreclose on the property and it becomes a foreclosure manufactured home. Finding repo manufactured homes for sale is easier than ever these days. There are an abundance of resources online and foreclosure listings available to you. Since all foreclosures have to be registered with local state offices, online foreclosure listings should provide a pretty accurate account of all available foreclosed manufactured homes for sale in your area. Alternatively, you could also go straight to the manufactured home communities to find a suitable property. Are Manufactured Homes and Modular Homes the Same? Most people consider foreclosed manufactured homes and manufactured modular homes the same thing, but there are some subtle differences. The main requirement for a mobile home to be considered manufactured is a permanent chassis which allows for transportation. With a modular home, there is no chassis and it’s usually transported from the factory to it’s final destination on the back of a flatbed semi truck. 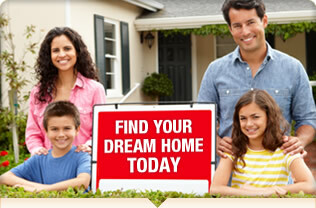 You can find out more about how to invest in foreclosed modular homes by clicking here. As the construction techniques for small manufactured homes have improved, so has the size. Mobile homes were originally 8 feet wide, then grew to 10 and then 14 feet wide. Now a days though, you can find repossessed manufactured homes for sale that are up to to 42 feet wide. The increased size of mobile homes has allowed builders to provide all of the amenities of a normal home but with a lower price tag. Single section are the most common and economical type of manufactured home these days. They are usually 14 feet wide, but can be up to 80 feet long. Larger units may require minor repairs after transportation though. Multi-section modular homes have become more popular as the need for large cheap houses has grown. These homes are comprised of two or more single units that are pre-fabricated separately at the build factory and joined together at the construction site. Multi-units are less common than single units because they can be very difficult to transfer after they’ve been set down and meshed together. In the past, manufactured homes were not build up to code, but since the HUD started regulating mobile homes in 1976, they have been built to nearly the same standards as regular homes. The best feature of today’s manufactured homes is the low price compared to other forms of more traditional housing. You can find foreclosed mobile homes in all areas of the country and often at a great discount. Some manufactured home investors will even buy inexpensive foreclosed homes in one area and use a tractor-trailer to move them to a nicer area. Your options with a manufactured home are pretty flexible, and the low price makes them a great deal. Financing a manufactured home is very similar to the process of financing a normal property. And since the property is ‘mobile’, there are certain lenders that specialize in financing manufactured home loans for mobile properties. There are some great online comparison tools that can allow you to compare multiple rates across multiple companies with just one click. Remember that there are hundreds of banks competing for your business so it pays to shop around. You can compare a US Bank manufactured home loan to a local credit union and see who gives you the best rate before you decide on a single lender. You will need a down payment of 5-20% and be able to show adequate income for the amount you want to borrow. If you meet both those requirements, you’re well on your way to getting a mortgage for your first manufactured home. Research Available Properties: Use the online databases and foreclosure listings in your area to see what price manufactured houses are selling for. Compare the prices of used manufactured homes to new ones and see if you can save any money. Know the Home Buying Process: Buying a manufactured home is very similar to buying a regular home, so if you have experience with the latter you will have a slight advantage. If not, do your research and make sure you are familiar with the entire process. Obtain Financing: If you don’t have the cash to purchase the property outright, you’ll need to obtain housing finance. A pre-approval letter from a lender can go a long way to strengthen your offer. Think About Transportation: Do you plan on transporting the property yourself or hiring a company to do so? Make sure to include the costs of transportation of a manufactured home in your calculations and don’t forget about manufactured home insurance in case the unit is damaged during travel. Make an Offer: After you’ve done your due diligence, you should be ready to make the offer. Don’t be afraid to negotiate and get the best price available. Get Your Home Inspected: Most states will require a government inspection once the property has been moved or transported to a new location. If you decide to purchase a foreclosure and move it to a new area, make sure it is inspected by the local government’s office. Whether you’re a first time pre manufactured home investor or a seasoned real estate investor interested in buying in bulk and home flipping, foreclosed manufactured homes should be part of your investment strategy. The relative low cost, to traditional housing, and the mobility factor allows for investors to get a great deal at a discount price.